Though traditional x-rays emit a miniscule amount of radiation, new digital x-rays limit that exposure by 90 percent. Once taken, the digital x-rays are instantaneously transmitted onto a computer monitor for both you and the dentist to examine. Now both you and your dentist can discuss any dental work that needs to be performed, easing any anxiety you may have experienced in the past. 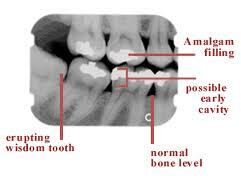 Dental radiographs (x-rays) are essential, preventative, diagnostic tools that provide valuable information not visible during a regular dental exam. Dentists and dental hygienists use this information to safely and accurately detect hidden dental abnormalities and complete an accurate treatment plan. Without x-rays, problem areas may go undetected. We are all exposed to natural radiation in our environment. The amount of radiation exposure from a traditional full mouth series of x-rays is equal to the amount a person receives in a single day from natural sources. 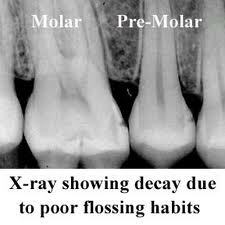 At Ocean Dental Care, we use digital radiography which decreases the radiation exposure by 97%! Digital x-rays require the lowest level of radiation and are considered very safe. Dentists take necessary precautions to limit the patient’s exposure to radiation when taking dental x-rays. These precautions include using lead apron shields to protect the body and using modern, fast film that cuts down the exposure time of each x-ray.